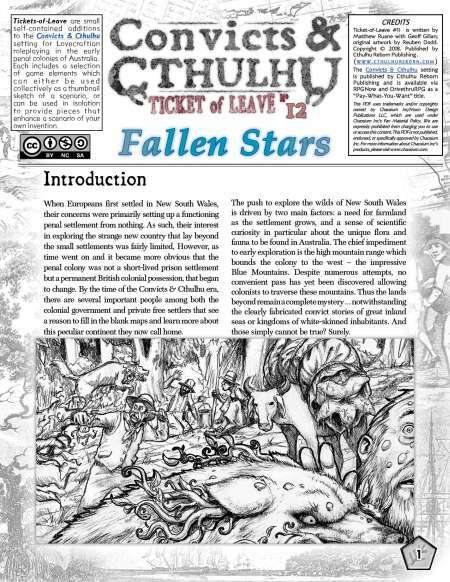 I’m sure everyone who drops by the Cthulhu Reborn blog is well-acquainted with Convicts & Cthulhu, our roleplaying game of Lovecraftian horror in the early penal settlements of Australia. But apparently it’s not just gamer-types who have an interest in our humble game … but also curators at the National Library of Australia (the official Aussie Library of Record, and also our biggest). 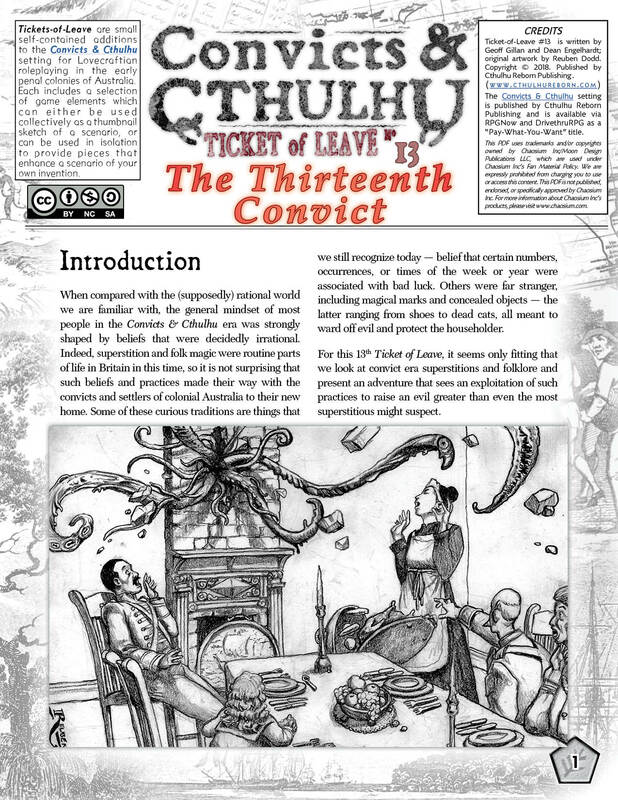 Some time back, much to our surprise, we were approached by the NLA to add Convicts & Cthulhu (and eventually all the Tickets of Leave) to their games and e-book collections. 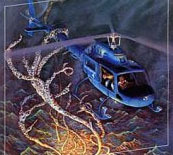 Recently, the first of these additions made it to the catalogue. 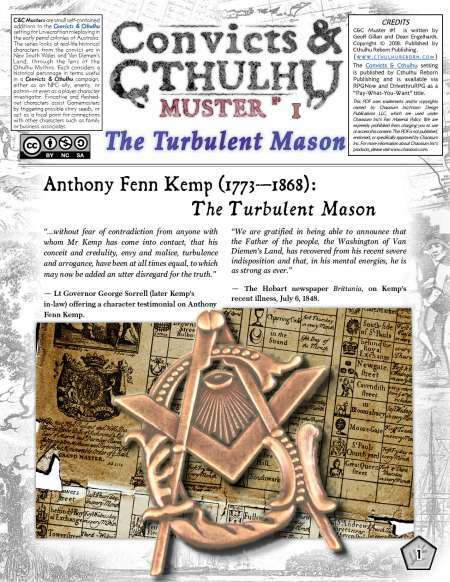 You can even view and download the PDF version of the title from the library’s website, for free. And chant wild in the woods as they dance round a Yule- altar fungous and white. 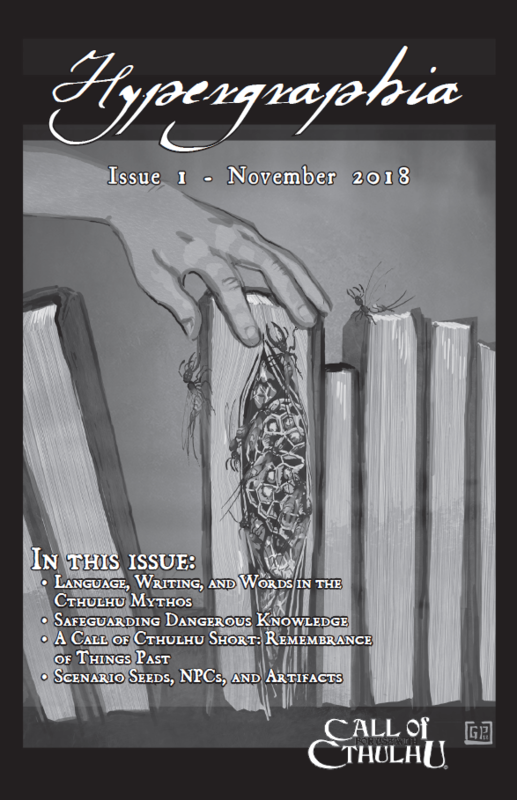 Best wishes to all readers of Cthulhu Reborn and those who download our stuff (and help spread the word about what we do). May the best of the season — unhallowed and old — be yours. 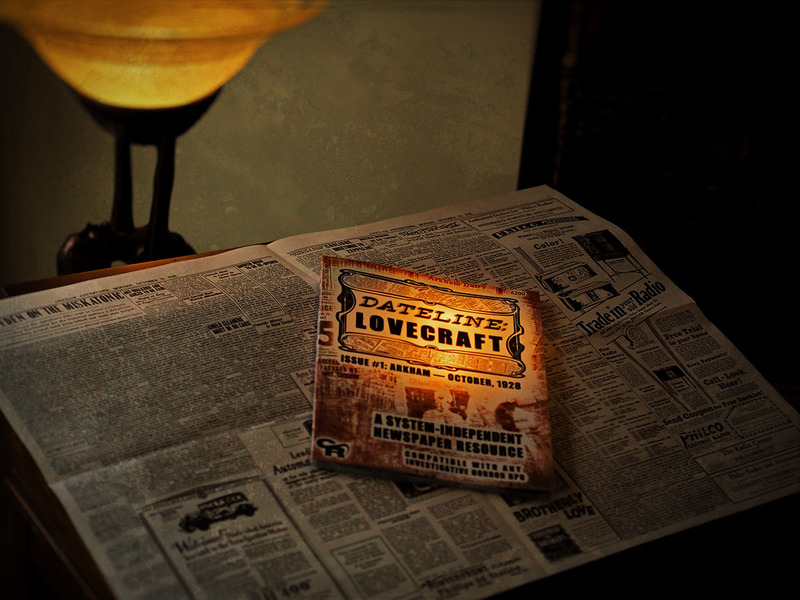 There have been so many new Lovecraftian Kickstarters that have been delivering goodies over the past few weeks that it’s almost too hard to keep track … but one very exciting development was Pelgrane’s release of Absinthe in Carcosa, the enormous in-world “city-guide-slash-insane-notebook” prop for the Yellow King RPG. The reason this is exciting for us is because Pelgrane kindly allowed us to design almost all of this 194-page book based on detailed notes and outlines written by Robin D. Laws. 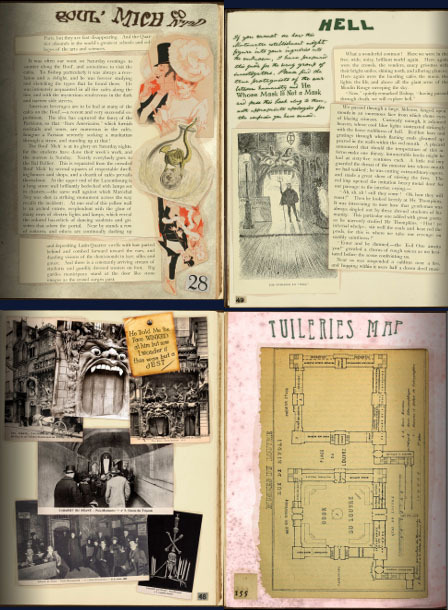 The original concept was that Absinthe in Carcosa should be a photo-realistic replica of a notebook compiled by an 1890s American art student (of shaky sanity) studying in Paris. As this poor unnamed fellow gets caught up in reality-shattering revelations, he gains insights into both the true nature of things and also the future stalwart figures who will read his words years later. 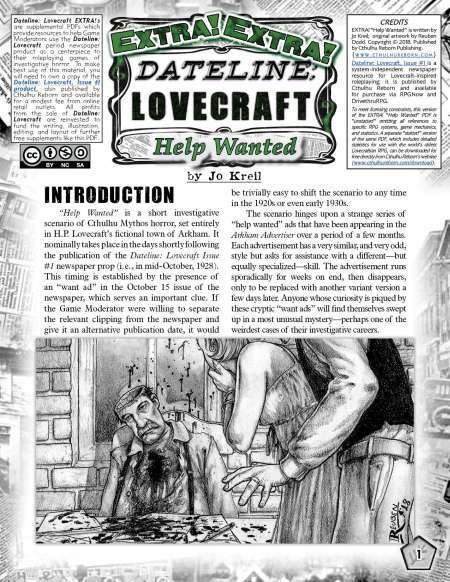 Accordingly he takes a pair of scissors to an assortment of handy contemporary guidebooks to Paris — some mundane, others luridly sensationalist — and compiles a syncretic guide to everything an occult investigator might need to know about 1890s Paris … hand annotated with various scratchings. 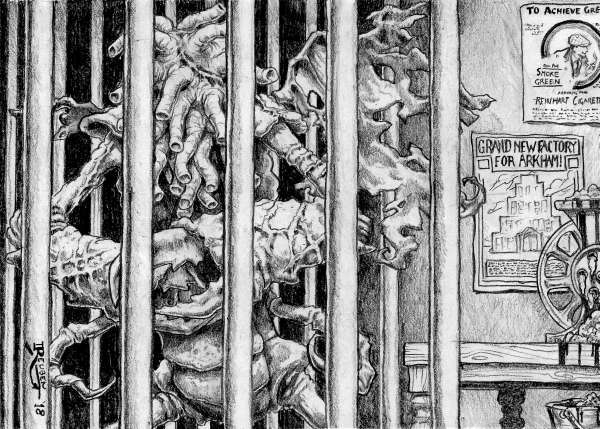 And illustrated with art and pictures that, to the compilers tattered mind at least, elucidate his message. Needless the say the resultant mish-mash is both exceptionally full of handy information, strangely idiosyncratic and at times elliptical, and full of art which implies dreadful truths … In short, it’s a nifty and entirely unique artifact. Putting together the 180+ pages of collages from dozens and dozens of real-world Victorian era books and posters was a huge undertaking, but also a lot of fun. Robin’s notes spelled out exactly what needed to be where but also left enough free to slot in all manner of weirdness (and even a few deeply-buried “easter eggs” for the eagle-eyed). Pelgrane have been kind enough to list me as first author on the book … which is probably undeserved (since the vision and composition is really Robin’s work). But I am more than happy to take the credit! 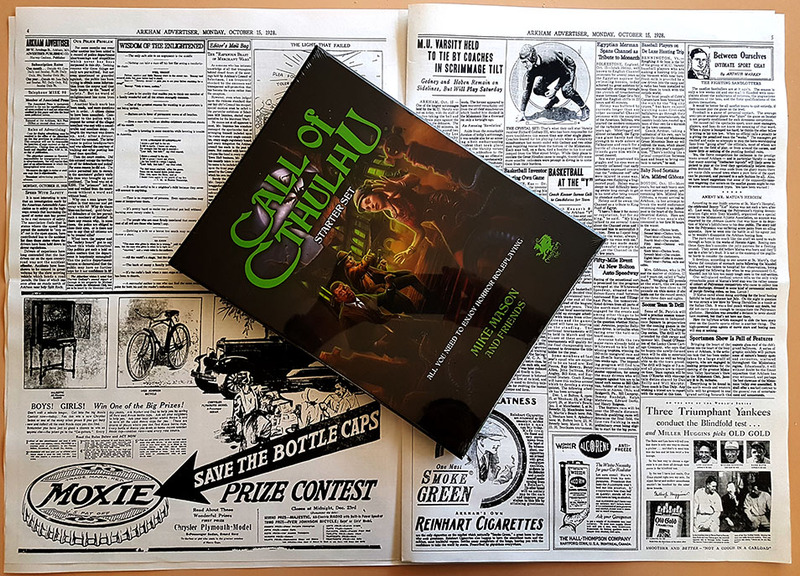 Backers of the Yellow King RPG who backed at a level where they will receive Absinthe in Carcosa should have now received a “grabcode” from Pelgrane (I got mine on 7 Dec) to download the PDF version. 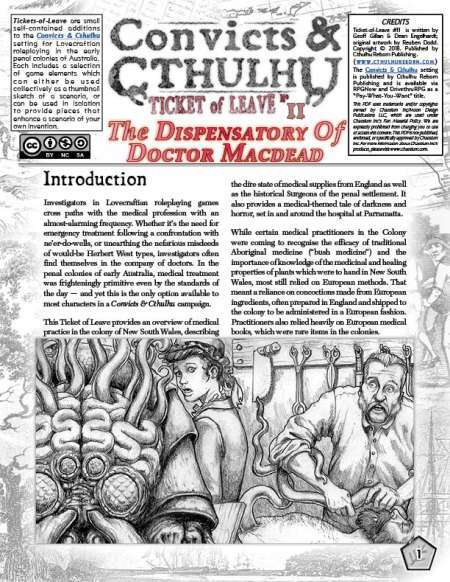 Be warned, it’s big: something like 530MB of high-resolution art-quality PDF. 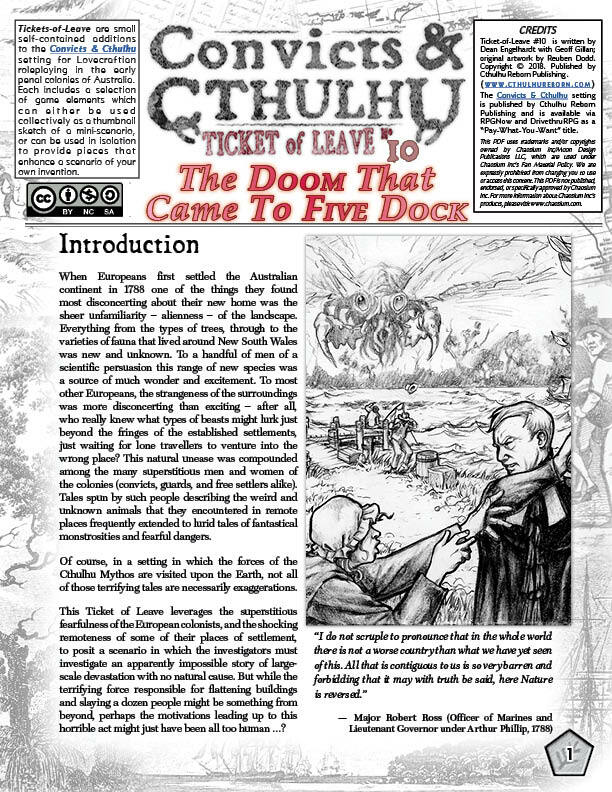 But I hope those who grab it will enjoy paging through the unravelling mind of a sensitive Belle Epoch art scholar … and find ways to use his curious compilation to enhance their games of the YK:RPG, or any other game which needs some solid 1890s Carcosa-inspired weirdness dropped into it unceremoniously. 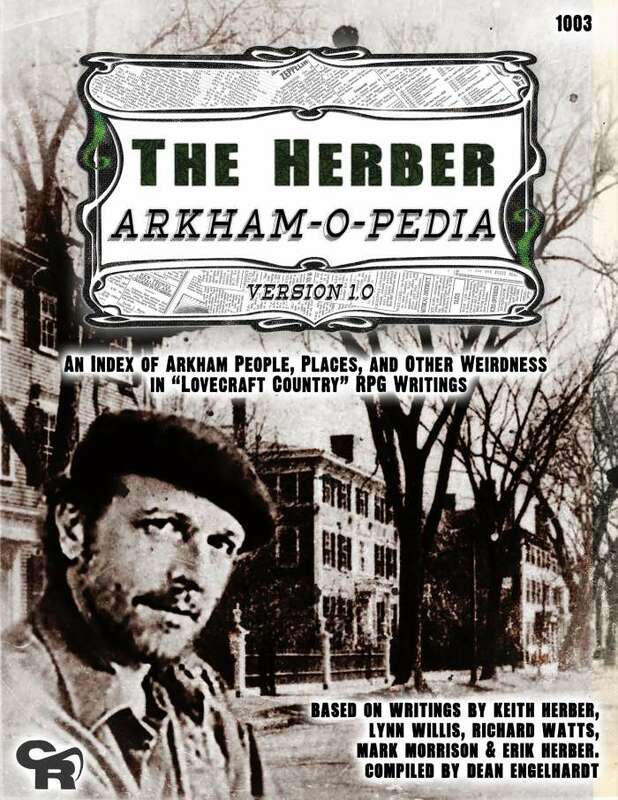 BTW: if you have downloaded a copy of Absinthe in Carcosa and have some thoughts on what you liked (or didn’t like) about it, I am sure that Pelgrane would love to hear about it. And so would I! I can’t wait to see what it looks like in print!